How can KLM Scrap Plaza get inside in their plastic waste process to make more sustainable, strategic and efficient decisions based on facts? How can 15-24-year-old women who have underwater related phobia be helped by a computational model for exposure therapy in a virtual reality environment that adapts to their emotional state? How to develop one or more ‘live’ data based media concepts that can strengthen or even replace video? Which are the new interactions we can create during live programming? 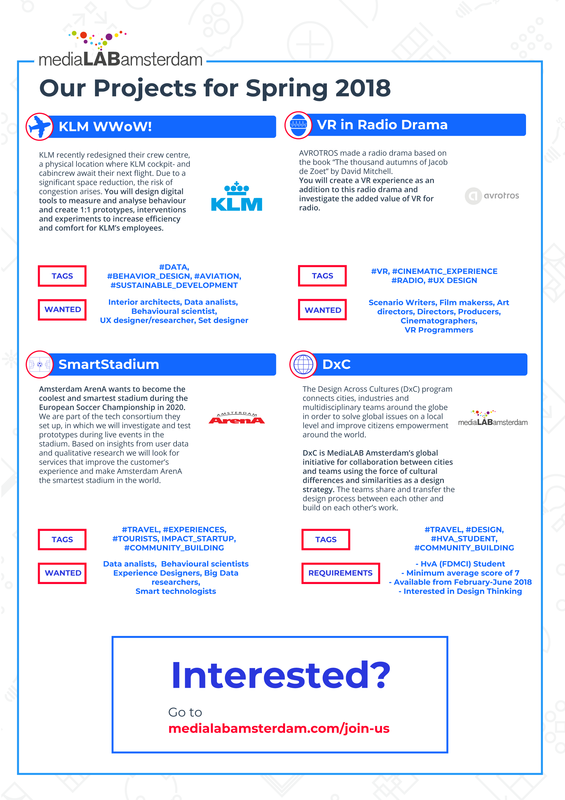 Each semester MediaLAB Amsterdam finds creators from all over the world to work for 20 weeks on a challenge supplied by the industry. Join us to design interventions for the Sustainable Development Goals that matter most to you. Let's #Design2030Now! How can we use the guidelines of KLM's winning way of working to increase connection between the different workers of KLM by tailoring their workspaces to their needs? How can we efficiently renew and create a sustainable lighting system for KLM’s Data center? How can we enrich passengers waiting experience within the baggage reclaim of Schiphol Airport by relieving their baggage worries? We are Hiring for upcoming semester! Work in Japan for 20 weeks? 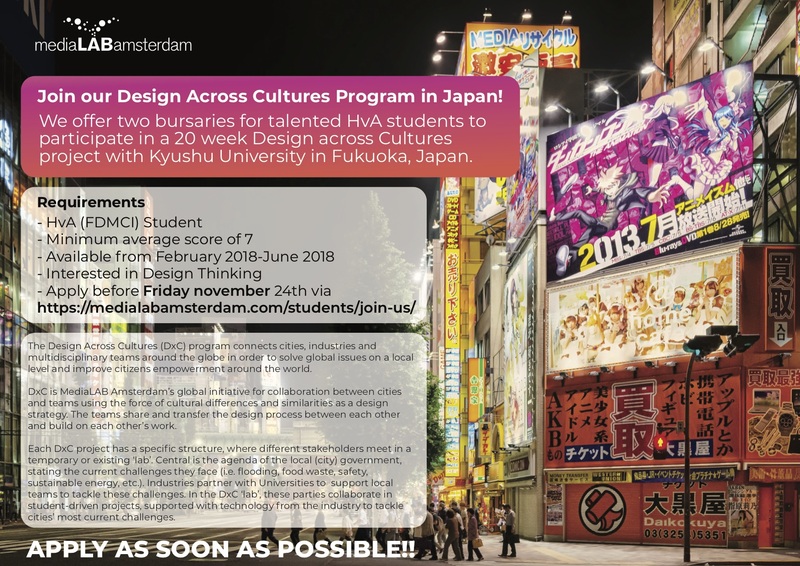 Did you always dream of a semester in Japan? Here’s your chance! While working in Japan you will receive a bursary, apply via JOIN US before November 19th!